As a restaurant owner, you’re always looking for ways to connect with the customer. 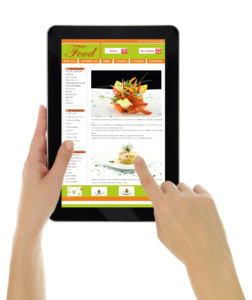 With the rise of the internet and digital technology over the past twenty years, many businesses have moved online, and the restaurant industry is no exception. Once used only for ordering pizzas, the internet now lets customers interact with many of their favorite restaurants through restaurant websites, and if you’re a savvy owner, the same is probably true for your establishment, as well. The problem, though, is that using a restaurant website to place orders has already started to go the way of the dinosaur. As new technology races to replace older systems, the onset of mobile phones and the apps that go with them has resulted in a completely new way of interacting with customers — the restaurant app. Customers today are looking for ways to make their lives easier. What could be easier than opening up your app, pressing a couple of buttons, and having your food ready to go a few minutes later? With mobile phones, this can happen anywhere, anytime, which gives your customers the chance to enjoy your food whenever they want. This makes them happier, and it will certainly make you happier, as well. One of the great things about apps is how customizable they can be. Apps remember the preferences of their users, and a mobile application can remember the customer’s orders. This lets you market directly to that person. If there’s a specific entree that they order a lot, you can make sure to notify them when it’s on sale. Haven’t seen that person in a while? 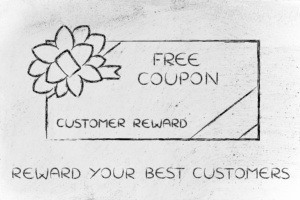 Send them a coupon for that entree to entice them back. Something new coming out on the menu? If their order history suggests they would enjoy that, the app can make them aware of it. Another great thing about apps is that they take the customer loyalty to the next level. With apps, it’s very easy to set up different kinds of reward programs. Whether the program is based on dollars spent through the app, number of check-ins to your establishment, or scanned receipts that track your visits and give you points — the list is just about endless. Whatever type of reward program works best for you, can be built into your app. Customers love to feel like they are getting a good deal, and by rewarding them for their business, you are not only helping them save money, but guaranteeing their business in the future. – First, it makes it easier, plain and simple. The work is already done by the time the order gets to you! – Second, it allows your restaurant to process more orders at once and do more business, because you can literally have more than one order taking place at the same time. – Third, it frees up your employees to deal with other things, like difficult orders (or customers). – Finally, it minimizes the chances of customer complaints. Because the order is already complete, there’s less chance of making a mistake, and the customer has less room to complain. It also helps avoid the “he said/she said” when a customer claims that what they ordered is not what they received. By integrating the app with sites such as yelp or facebook, you can ask a customer to share their positive experiences with their friends and the rest of the world. 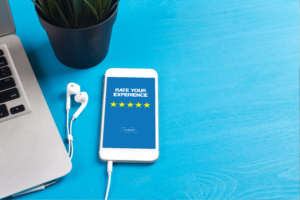 When an order is filled, the app can display a pop-up, asking the customer to post a quick review or their thoughts about the food, the staff, or whatever else. While angry customers usually have no problem voicing their grievances, happy customers tend not to share as much. These pop-ups help to level the playing field by prompting everyone to share equally. They can also be turned off to avoid annoying those same customers you’re trying to get positive feedback from.